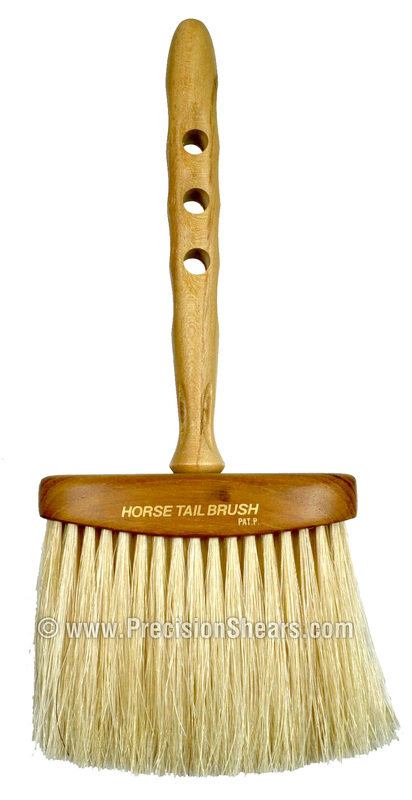 The YS Park 504 Gentle Neck Brush is made with all natural White Horse bristles. Bristles are made of waffled horse tail mane to gently remove fine, short hair stubble from around the nape and collar line. The YS 504 neck brush has a super light hollowed wood body for a better airflow, the handle’s comfort grip is engineered with air holes built-in to prevent clammy hands, providing the stylist incredible control over each stroke.
. Brush Length: W 6.0" x L 10"
. Bristle Length W 6.0" x L 4.0"
Treat you client with first class style with the YS. Park 504 Gentle Neck Brush designed for top cleaning performance and precision reliability.